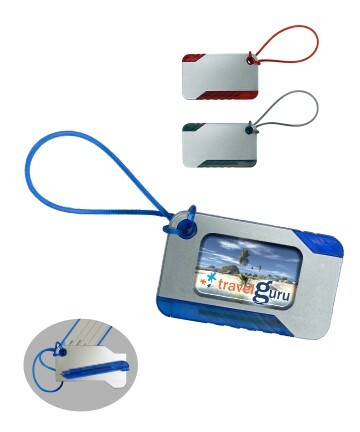 Union Printed, Luggage Tag with Convenient Pen Attachment for Travel Writing Needs, Find your luggage easily with this Luggage Tag. Good For Any luggage, from spinners to suitcases, gym bags, briefcases, golf bags, baby strollers, tool boxes or musical instrument covers. This travel tag can be conveniently fastened through the handle of any type of luggage. What a great way to thank your guests or costumers for traveling to your event. Full Color Process Epoxy Dome Label Print Included - NO MINIMUM - Decorated in our Union Shop - Union Bug Available at No Charge! • Imprint Area: 3.25" x 1"